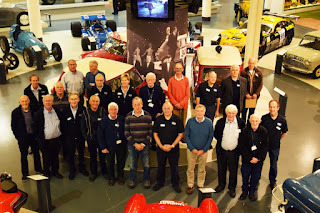 It’s hard to believe that five years have passed since August 2012 when 53 volunteers were recruited, by the then Heritage Motor Centre, as part of their lottery funded campaign for the building of a new Collections Centre. During that time we have carried out full vehicle surveys of every vehicle in the collection and all relevant mechanical data, renovated cars and engines, attended shows and exhibitions and worked on an oral history project. Then in February 2016, we finally became guides at the new Collections Centre. Of the original volunteers, 27 remain actively involved at what is now the British Motor Museum, in some or all of the above activities. 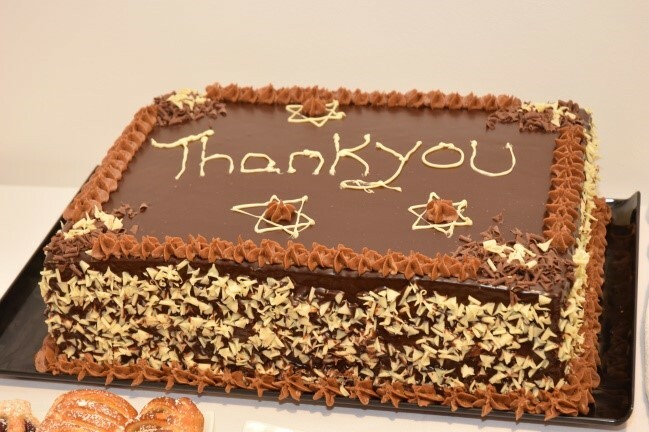 To recognise our five years of service the Museum, and its Managing Director Julie Tew, kindly invited us all to a reception recently where we were all thanked for our dedicated service and help. Twenty three of us were able to attend and were presented with a certificate and a five year service badge, followed by tea/coffee and a specially made, rather large chocolate cake. It should be pointed out that since the Collections Centre opened in 2016 and with an increasing number of visitors, a lot more volunteers have now been recruited. We now number around 80, allowing four guides per day to be on duty for the full seven days of the week that the Museum is now open. The cake, in all its glory is shown above, together with Julie Tew presenting Oliver White with his certificate and badge. Oliver incidentally has in fact been a volunteer for over 11 years, having started well before the current volunteer programme began. He’s a former BBC editor who spends a lot of his time in the sorting and labelling of film material for the archives department. 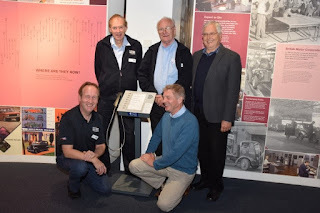 The awards news doesn’t end there though, as for the second year running, the British Motor Museum had two entries accepted for the annual West Midlands Museum Development Volunteer Awards. The ceremony was hosted by BBC presenter Sarah Bishop at the Birmingham Hippodrome on 19th September. 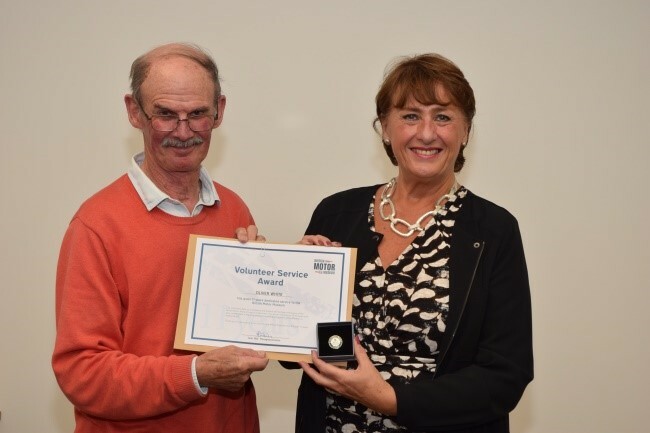 Volunteer Mark Bradbury was nominated for the individual “Above and Beyond” category for his work in moving, collating and displaying the Museum’s artefacts, whilst Vince Hall was nominated in the “Collections” category for his work leading the oral history team and in particular for all the editing he has undertaken. 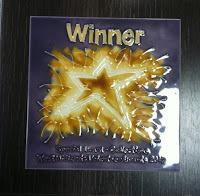 Both finalists received recognition of their achievements from the judges with Vince declared the worthy winner of his category. Above are some members of the oral history group alongside one of the recently installed audio consoles in the main Museum. 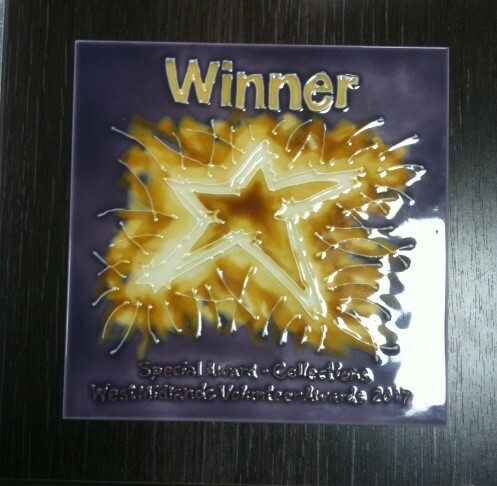 Vince is in the pale blue jumper knealing at the front and his Winners’ tile plaque is shown on the right.